YWCA’s Workforce Development program offers comprehensive services for those looking for assistance with improving their general educational skills to earn a high school equivalency and/or prepare for post-secondary and job/career training. Our classes are structured to address the academic and work-readiness needs of each member. Our instructional and training staff meet with members to develop personalized work-readiness plans and educational goals. Our work-readiness services helps individuals develop the skills necessary to achieve economic self-sufficiency. 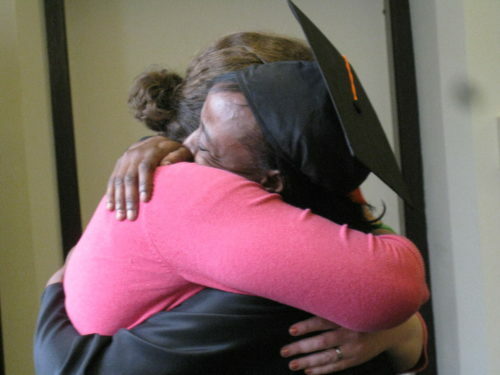 All YWCA Workforce participant partner with a Cincinnati Works employment coach to enhance work-readiness skills. The Cincinnati Works-YWCA employment coach leads weekly work-readiness classes for all Workforce Development members and provides one-on-one coaching as needed. Employment coaching begins upon entering the program, but continues as long as each client requires even after leaving the program. Once you are a Cincinnati Works-YWCA member, you are a member for life!